The 2nd International Women's Film Festival Mis Be Binga (The Eyes of Women) will be held in Yaoundé from 8-12 March 2011. The goal of the festival is to promote the creativity of women from Cameroon, Africa and the whole world; to establish a network among women filmmakers from different parts of the world and to bring about a better understanding of different cultures and of each other. The purpose of the festival is to use the medium of film to address issues of violence, inequality, discrimination and other problems related to women's rights and gender issues. Moreover, to let the world discover the pressing concerns of society and the evolution of a changing world as seen by women. The training workshop, "When the Idea Becomes a Film" will be held again this year under the theme: How to Make a Low Budget Film". 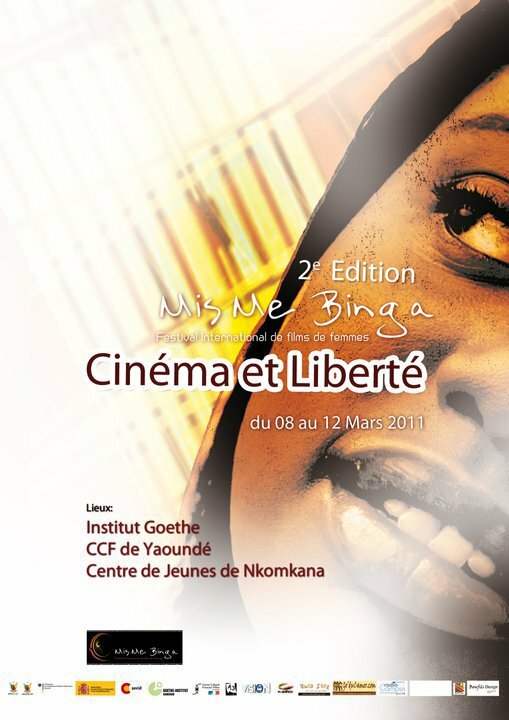 A conference will be organized 10 March 2011 under the title "Cinema and Freedom". Sitou Ayité: Please introduce yourself? Évodie Ngueyeli: My name is Évodie Ngueyeli from Cameroon and I am in charge of the artistic direction of the International Women's Film Festival Mis Be Binga. What was the idea behind the creation of the festival? The festival was born from the fact that in Cameroon women are pleased to be on stage, though when they are behind the camera, they hold the positions of make-up artists, script supervisors and set designers. However, the cinema was greatly influenced by a woman, Sita Bella, her real name Thérèse Mbella Mbida, the first woman in Cameroon to become a pilot, a journalist and a director, and one of the first Africans to explore cinema in Europe. Women are denied the right to speak, to be in charge, and to talk about how they view the world. In other words, the position of director has not been in their purview. As it were, of the fifty films made in Cameroon, only ten of them are by women. And yet, when women do decide to take the road into filmmaking, their films are a hit. This is the case of the films of Oswalde Lewat: Un amour pendant la guerre (A Love during War), Une affaire de nègres (Black Business), in which she gives her point of view and her vision of society on some highly delicate issues. There is also Hélène Ebah’s Les blessures inguérissables (The Unhealing Wounds), which is of a truly remarkable and unique aesthetic. And of course, the film, Paris à tout prix (Paris or Nothing) by Joséphine Ndagnou, which packed the movie houses in Yaoundé for weeks. In view of these facts it was important to establish a women’s film festival that could encourage women to make films, that would showcase and promote their work and also provide training via the workshop “Quand l’idée devient un film” (When the idea becomes a film). What is the meaning of "Mis Me Binga”? In fact, Mis Me Binga is from the local Cameroonian language Éwondo. Mis refers to “the eyes” and Me Binga means “women”. So Mis Me Binga translates to “The Eyes of Women”. And to put it into the context of the festival, it means “A Woman’s Perspective”, since we would like women to speak up and express their vision of society. Is the festival a way to promote women’s liberation? Not really, in fact we promote female talent. We give women the opportunity to have a platform to showcase their films, encourage them to produce more and express and share their view of the world. In your opinion, what is a woman’s perspective of the world? I cannot say how women view the world because there are thousands and millions of women on earth and each of them has a particular sensibility. Therefore one cannot talk about a single vision but a diversity of viewpoints. Do you think that at present African women have a visible place in cinema? If one speaks about a prominent role, in the sense that women actually have their say on important issues, I think there are very few in this position. As I stated earlier, women produce very little in Cameroon and in Africa in general, only Burkina Faso is the exception where women produce more than men. In order for women to play a more prominent role they must first of all produce more and I think there still is some way to go.